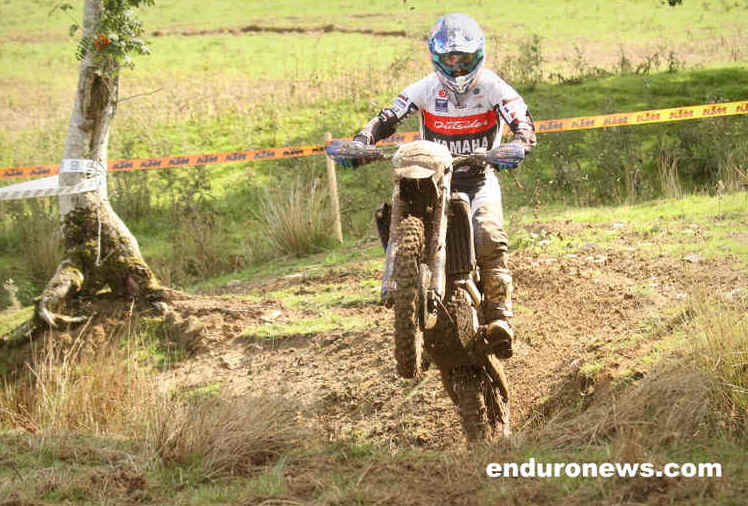 Rhayader MCC and its team of helpers put on a fantastic two-day British Enduro Championship round at Cwmythig Hill over the course of the August Bank Holiday weekend. The event sponsored by ET James Motorcycles / Lasermaster / Amped, formed round 8 and 9 of the ACU BEC and the ever efficient Rhayader club further raised the bar in the standards of event organisation. Unique to this BEC, the event commenced on Friday evening when a large crowd gathered on the Cwmythig Hill to watch the Maxxis Prologue for championship and expert riders. Heavy rain showers throughout the day made the Prologue sections slippery but 10 minutes before the first two riders commenced their timed runs, the sun broke through to make a great evening’s entertainment for the 1000 plus spectators. Sherco’s Jack Edmondson set the best time of the night with 2min 45 seconds just two tenths of a second ahead of Gas Gas rider Danny McCanney. 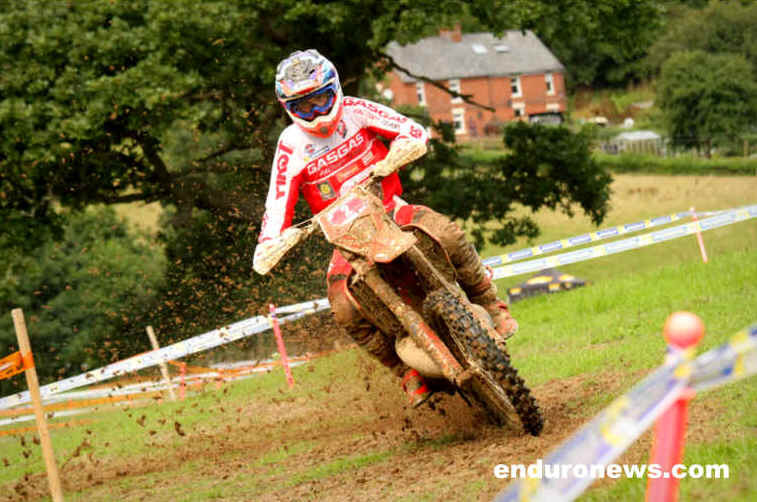 Kiwi Hamish Macdonald riding in the UK for the first time was in 3rd with Lee Sealey 4th, followed by Jamie McCanney and World Enduro Champion Steve Holcombe. Jamie McCanney and Holcombe both having a bit of practice for next weekend’s world round in Italy and not intending to ride the full event. In the expert class Luke Flack on his 300 Beta set a cracking time of 2m 55 seconds. Luke was only expert rider to crack the 3-minute barrier setting a time which would have been in the top 6 of the championship class. 2nd in the expert class was Brad Williams (KTM) followed by Harry Edmondson (Beta) in 3rd. Friday evening’s entertainment was completed with a display by the world-famous Purple Helmets who had the crowd in stiches with their antics. This was a fitting tribute to the former Purple Helmets rider Michael Alty who tragically lost his life when riding the August 2017 ISDE in France. 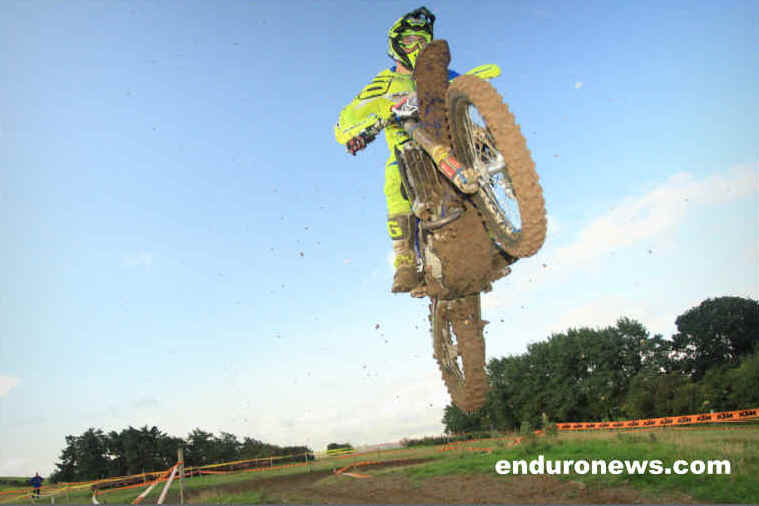 The main event started on Saturday and although a few clouds and showers damped proceedings, overall the going was perfect as a full house of 180 riders set out to tackle 2 laps of the 50-mile course. At the tail end of the field on day one 20 sidecar competitors started the event as the event also formed a round of the 2018 ACU British Sidecar Enduro Championship and the Trever Evans Memorial Cup. Danny McCanney and Tom Sagar were flagged away by dignitaries from Rhayader Town and Powys County Councils, and within 2 minutes the riders were flat out on the 3.5-mile flowing special test over Cwmythig Hill. Danny McCanney laid down a marker with a time of 8 mins 20 seconds - seven seconds faster than brother Jamie McCanney with Jack Edmondson (Sherco) hot on his heals in 3rd. 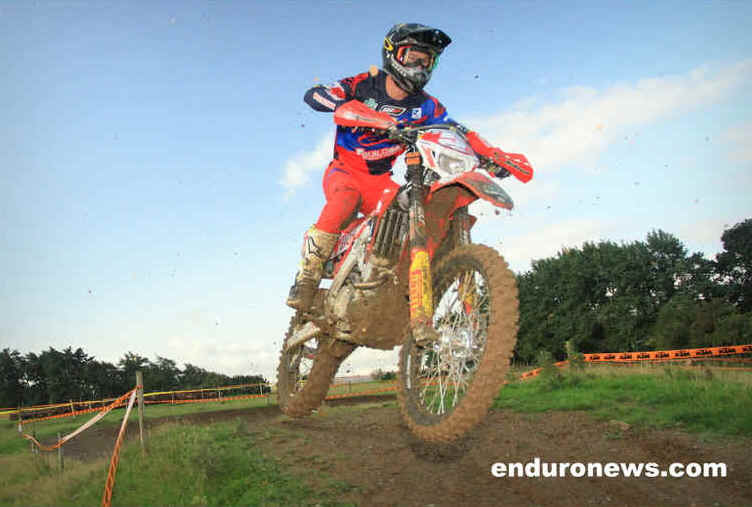 On the long cross country enduro special test at Saints Well, Danny McCanney again set the pace with a time of 8m 18s which was 6 seconds better than Edmondson with Jamie McCanney in 3rd a further second behind. Special test 3 was at Home Farm near Abbeycwmhir where Jack Edmondson set the standard to beat, breaking the 3-minute barrier ahead of Beta’s Tom Sagar, followed by Danny McCanney, Alex Snow and Jamie McCanney. Heading into lap 2, Jamie McCanney (Yamaha) won 3 out of the 4 tests but Danny put up a cracking cross-country test at Saints Well with a time 20 seconds better than his brother. Overall, the day went to Danny which helped to build up his BEC standings as best E3 rider. 2nd overall was Jamie McCanney and 3rd overall was Jack Edmondson with a superb ride to take E2 honours. Alex Snow Honda was 4th overall and first E1 4S on his 250 Honda with local rider Alex Walton taking top spot in the E1 2 stroke class with his 125 Yamaha. In the expert class Luke Flack (Beta 300) showed why his time on the Maxxis Prologue was not just a one off as over the 8 special tests throughout the day he pulled just over a minute over runner up Jack Cadwallader (KTM 250) with Henry Yardley (KTM 125) a close 3rd. In the Clubman class Lewis Ranger (Husky 150) took outright victory from Harry Houghton) and James Palmer both on KTM 125s. The over 40s veteran class was won by Welshman Andrew Edwards (Beta 125) with the runner up from the Isle of Man Russell Millward (Yam 249). 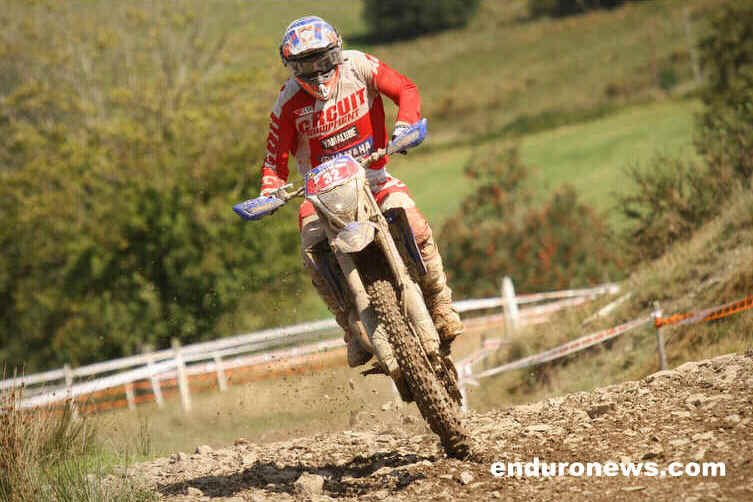 Paul Davies won the over 50 class on his Yamaha 250 and Nieve Holmes (Sherco 250) took the best lady rider. On the Saturday for the Sidecars it was Round 6 of the British Enduro Championship incorporating the 'Trevor Evans Memorial Cup'. Day two of the event dawned with heavy rain which continued throughout the day and made the going very slippery and challenging. 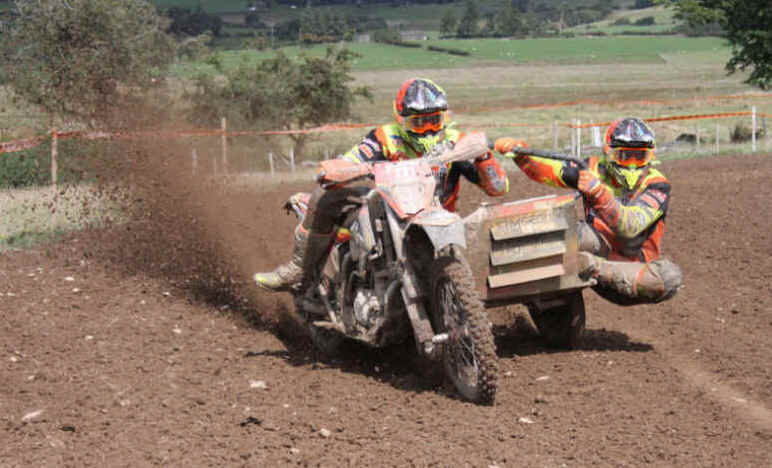 The Rhayader Club made a sensible and early decision to cut the event down from two laps to one lap for all classes except expert and championship. This was later revised at the end of the first lap after 3 hours of heavy rain due to the forestry cutting up and the marshals suffering from the very cold and wet conditions. The decision being to restrict all classes to just one lap - 50 miles. On the first test on Cwmythig Hill, Alex Snow (250 Honda) set a sensational pace in the wet and slick conditions - a time that was 12 seconds quicker than the next rider Jack Edmondson followed by Danny McCanney in 3rd. On the 2nd test at Saints Well McCanney decided to turn up the wick setting a blistering time of 8m 25s. This being 13 seconds better than Edmondson and 20 seconds better than Snow. As the Championship riders arrived back at Cwmythig Hill, the decision was made to run back to back tests to finish the day. Going into the final tests of the day level on time, Snow managed to take 10 seconds out of McCanney. This was particularly impressive as Snow had made a mistake going through the tapes before spinning the bike around to re-join the course at the same point. After regrouping the riders set out on the final test of the weekend. Snow really shone with a time 20 seconds better than McCanney to take overall honours for the day and a well-deserved victory by 29 seconds. Anyone who saw Snow riding the test could see he was in a class of his own in the tricky conditions. A point acknowledged by WEC competitor Jamie McCanney who was spectating on day two. 3rd on day two and a well-deserved first E2 was Jack Edmondson with Josh Gotts (TM 300) in 4th. Alex Walton finished 7th overall and took the E1 title. Overall honours for the event went to Danny McCanney on his Gas Gas which gave him an unassailable 177 Championship points. An excellent result which prepares him well for next weekend’s Italian WEC. In the expert class, Luke Flack (Beta 300) continued to dominate despite the change in riding conditions winning the class by 17 seconds from Newport’s popular and flamboyant Brad Williams (330 KTM). Richard Tucker (Sherco 250) was 3rd overall in the experts and Harry Edmondson (Beta 125) was 4th. Lewis Ranger (Husky 150) continued to dominate the clubman class taking nearly a minute out of the runner up Thomas Knight (Gas Gas) and similar to her ride on day one, Nieve Holmes (Sherco 250) took the best lady rider award gaining nearly a minute on her closest rival. The over 40s class was won by Russ Millward (Yamaha) with Gas Gas importer John Shirt revelling in the conditions and securing a hard earned runner up position. By doubling up and taking the win of the over 50 class, Paul Davies (Yamaha) won the Michael Alty Memorial cup. This was presented in the marque at the end of the event. The women's class repeated their Day 1 results. Nieve Holmes was 1st, Rosie Rowett was 2nd and Ellie Cooke was 3rd. Overall the Rhayader Club did an excellent job running a first-class event in what turned out to be very challenging weather conditions for an August Bank holiday. The event is a real credit to a small band of enthusiastic members and willing volunteers - a point acknowledged by riders and support crews.